Mike is a partner at Rice Harbut Elliott LLP. Mike’s law practice has always focused exclusively on representing injured plaintiffs. He has extensive expertise in catastrophic injuries, traumatic brain injuries, orthopedic injuries, neurological injuries, and chronic pain, which result from motor vehicle accidents, occupier’s liability situations, defective products, assaults, or dental malpractice. The courtroom is where Mike was meant to be. As a child, he would forgo Saturday morning cartoons to watch black and white Perry Mason reruns, much to the chagrin of his younger brothers. Mike has broad and extensive trial experience, has been counsel on precedent setting decisions, and remains devoted to finding new and innovative ways to represent his clients inside and outside the courtroom. 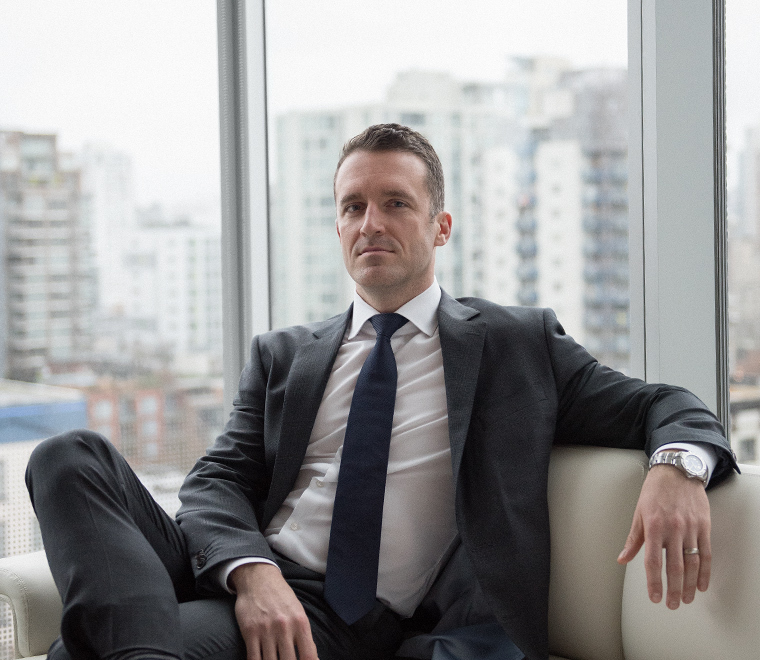 He currently advocates for his clients at all levels of Court in British Columbia. What Mike enjoys most about his work is the opportunity to level the playing field between large insurance companies and individual plaintiffs. He places particular importance on ensuring that he and his team thoughtfully guide clients through what is often a challenging and worrying time in their lives. Mike is stubborn but compassionate – a relentless advocate for his clients but proud of his commitment to listening and getting to know the clients for whom he works. Mike is on the Board of Directors for Working Gear Clothing Society, a non-profit charitable organization that provides job ready clothing, work gear, and safety equipment to low income or unemployed men in search of employment. After a ten years living in downtown Vancouver, Mike returned to his hometown of South Surrey. When not at work, Mike loves spending time with his beautiful wife and three young daughters who act as constant reminders of what matters most. He enjoys travelling and has previously lived in both Ireland and New Zealand. A former varsity rugby player, Mike has taken up boxing with humbling results. His other interests including reading (paper books, not electronic), following politics, polar bear swims, road cycling, and the great outdoors. He looks forward to the day that the Vancouver Canucks carry the Stanley Cup down Granville Street.